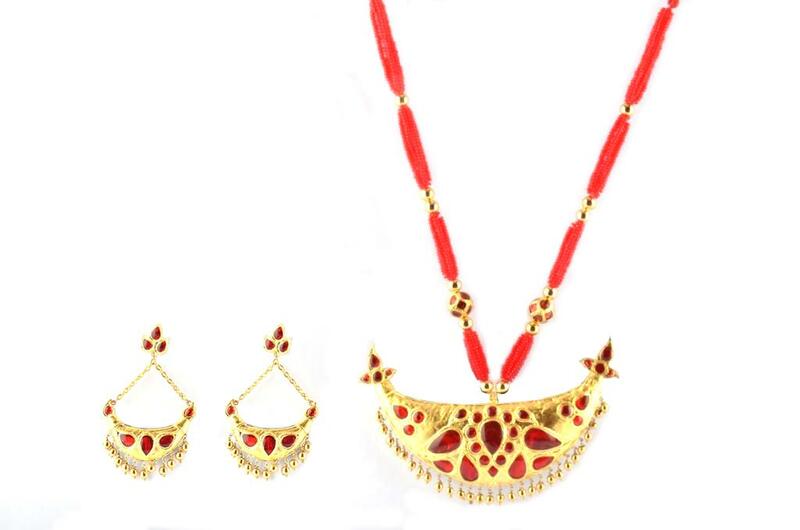 Look your best by wearing these exotic Designer Axomia Gohona (Assamese Traditional Jewellery), from our collection. They go very well with the Traditional Assamese attire Mekhela-Chadar. Assamese brides primarily wear Traditional Assamese Jewelleries on their Wedding. Assamese Traditional Axomia Gohona is completely handmade and only specialized hands can do it. Here jewellery is mostly influenced by nature (e.g. birds, grains, animals) and others by musical instruments (drums, etc) and few more by things daily used in an assamese household (Jaapi - a handmade conical hat). The main frame is silver made and finally it is covered with very thin layers gold foil(paat-xun). 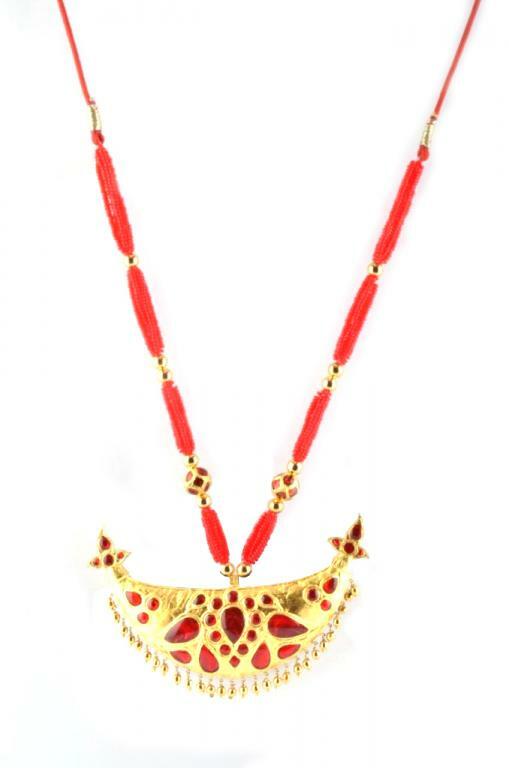 Assamese jewellery is embedded with Stones. 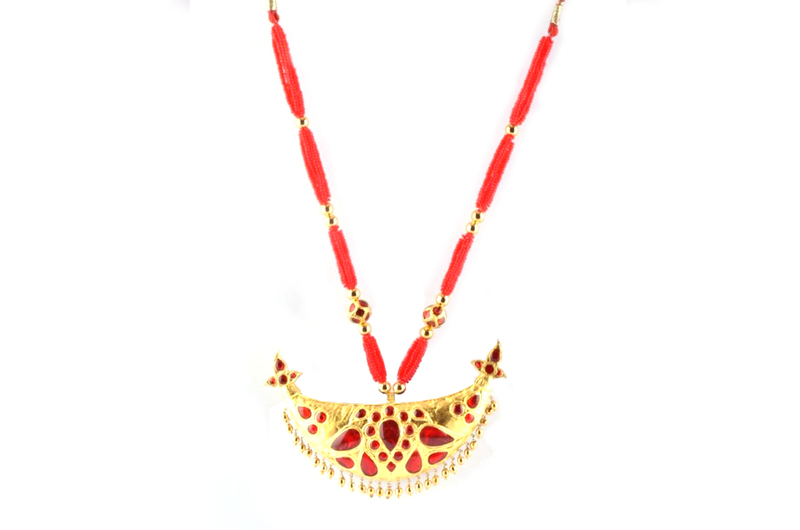 This particular kind of jewellery is very affordable and easy to maintain.